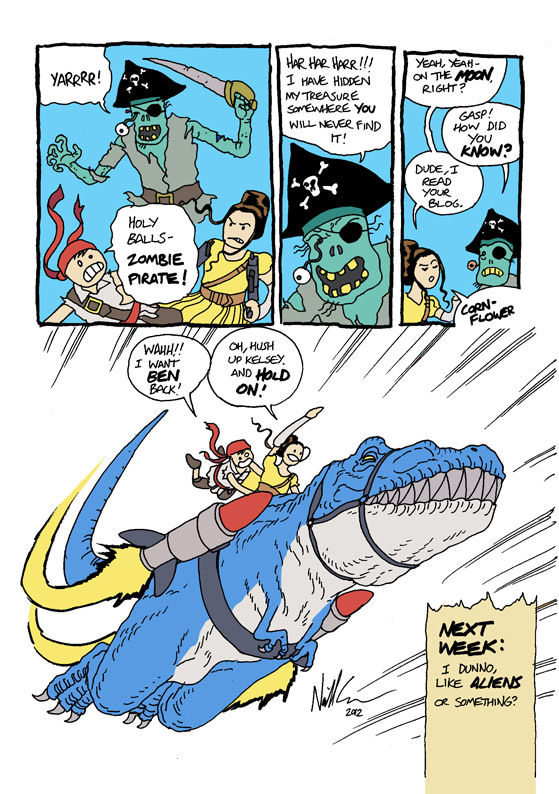 Pirates of Pangaea / Art Monkey SPECIAL EXTRA NONSENSICAL EDITION! 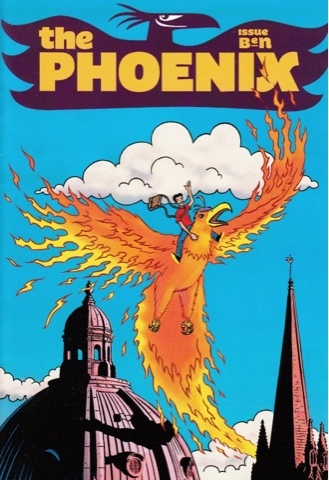 Back before Christmas a bunch of us who work on The Phoenix put together a special issue of the comic as a leaving present for our editor, Ben Sharpe. It was all the idea / fault of the magnificent Dave Shelton (he of Good Dog, Bad Dog and A Boy and a Bear in a Boat fame), and - well, it was a completely ridiculous and impractical if not outright impossible idea, so naturally we all decided to do it immediately. Anyway, I just saw Richard Bruton post a few extracts from it over on the marvellous Forbidden Planet blog (brilliant to hear that our old pal Molly got hold of a copy), and it reminded me that I'd been meaning to post my bits here. So here they are. DISCLAIMER for young or sensitive / readers: there's not outright swearing or naughtiness, but... well, let's say the following episodes are.... "non-canonical"? Please note: the first person to say "hey, I much prefer that style, you should always draw it like that" gets a SLAP IN THE CHOPS. You can see some of the other contents of the issue over on the Forbidden Planet blog, or in posts from m'colleagues Sarah McIntyre and Gary Northfield. 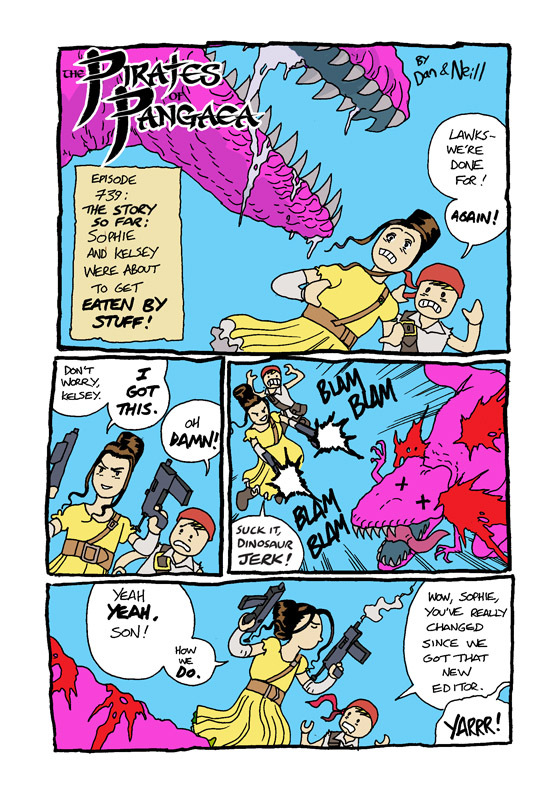 My nonsense here was utterly and completely outclassed by some wonderful contributions from my fellow Phoenixers, and I think the lengths everyone went to are the best possible indication you could ask for of, well, of how awesome Ben was as an editor. And that is MORE than enough sincerity for this blog. 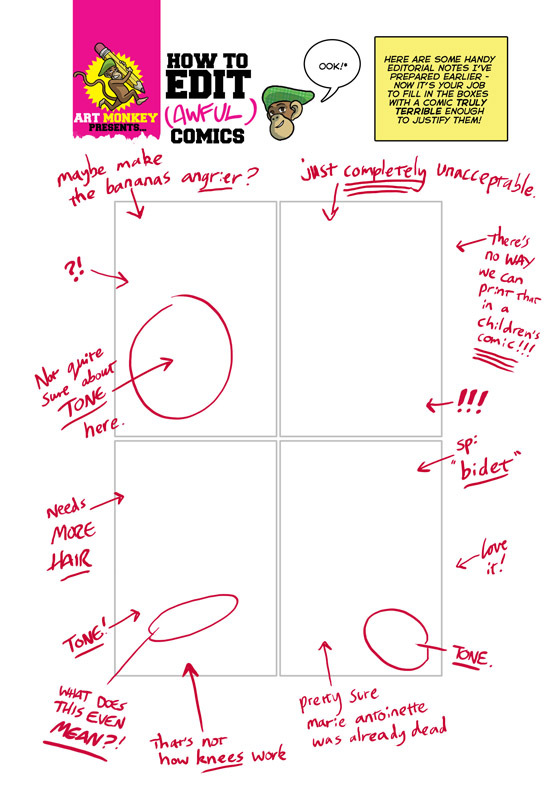 Hey, while I'm here: I posted a bunch of photos from a recent(ish) comics workshop up on twitter, and then thought I'd try putting them all together on Storify. So go and see the Ballad Of Bouncy Jim and get the closest thing to the Live Neill Doing A Comics Workshop Experience. (You will just have to imagine lots of kids shouting and me laughing at my own jokes). Enjoy! Enjoy and LEARN.